What are the things the Lord has taught you as you live this life for Him? There's no greater way to help others, or to see change take place, than to love. Without the blessing of God, we labor in vain. Dependence on God requires humility. What do you mean by love is the way to see change? It is easy to live expecting people to understand our convictions and to be likeminded; we forget that other people may have not walked the same journey we have. We expect them to understand things the way we understand and to do things the way we do, and when they don't, we end up getting mad at them and feeling frustrated. It can be like a father looking at his child, saying, "Why can't this kid grow up?" The father has traveled a long way and understands what life is all about. All he wants is for his daughter or son to understand. So how does he handle this reality? He can either be frustrated, angry, forceful and legalistic, or he can pray and agonize in love. That's what you'll find in the parable of the prodigal son. When the son asked for his inheritance, the father, according to Jewish law, had every right to take his son to be stoned to death. But the father said, "OK, son, this is what you want? You can do it." The father wasn't saying it out of anger or hatred, thinking, "You're going to learn a lesson, and then you'll come back." No, the entire story is about the father's heart—how he waited and waited for the day his son would come back home. And when his son did return, the father never asked, "What happened to you? What happened to all the money you took?" This is the kind of love that brings change. As we get older, it becomes easier to look at all that happens around us and feel frustrated, not because we're hurting for other people but because our expectations aren't being fulfilled. But I have come to realize how freeing it is to stop placing expectations on others. We want to make sure anything we do to bring change in others is not done by condemning, criticizing or putting them down. Love becomes genuine only when it is real deep inside. People don't change for righteousness and truth; they change because of love. But how do you cope with a person who is difficult to love? We need to understand and remember that no one is perfect. All of us are on a journey, and there is plenty of room for grace. Perhaps the difficulties or hurt I endure from a brother or sister in Christ is God using me as an instrument to love them so He can help them grow and fulfill His plan for their lives. Who knows, maybe that difficult person will end up being the godliest saint someday. All of us are in one canoe together making this journey. No one is alone. The worst mentality for people to live with is one where they feel like they can't measure up. That's when we have to recognize the truth of Philippians 1:6: "He who has begun a good work in you will complete it until the day of Jesus Christ." It is my responsibility and your responsibility to show love to those around us, to affirm those who are hurting and put our arm around them and say, "It's okay. Together we will make it." What has the Lord taught you about humility? We often talk about depending on the Lord and not on our resources and cleverness. But I've been thinking: What does that mean really? When we are helpless in ourselves, we have reason to depend on the Lord. When you want to take something from the top shelf and you can't reach it, you get a step ladder. But if you are tall enough, you don't need any additional support. So it is with our lives. We may feel capable, but we need to have a continuous sense of inadequacy, remembering, "I can't do it. The Lord is the one to do it." That's one thing the Lord has taught me about humility. Another thing is I am not indispensable. This has been refreshing for me to think about: "What will happen if I no longer do the ministry I'm doing?" The answer is so simple: The Lord has a thousand people, and He will continue His work. I'm not indispensable. It's just that during this season of my life, the Lord gave me something to do, and I'm doing it. It's good to remember that none of us are indispensable. That helps us remember to depend on Christ because we need Him. And this takes a genuine attitude of humility in the heart. Concerning your role in ministry, is there any significant lesson from the Lord that has challenged or shaped the way you lead? When I think about the work God is doing through the GFA world, the Lord keeps reminding me that without His blessing, we labor in vain. The disciples worked all night long fishing, but they caught nothing. Then, when Jesus told them to cast their nets again, they caught more fish than they knew what to do with. The blessing of the Lord is the secret. It's not all the work we do, the meetings we go to and the plans we make. Those are all good, but "unless the LORD builds the house, they labor in vain who build it" (Psalm 127:1). Without God's blessing, we work and work, yet we have nothing to show for it. But the genuine blessing of God brings fruit. As I read through Scripture, I find that God's blessing usually happens through absolute surrender—when we say, "Lord, if we get one fish or 100, it's Your doing." This is the reason Scripture tells us, "Pray without ceasing" (1 Thessalonians 5:17). Every step of the way, a non-stop, perpetual tape should run through our heads: "Lord, what do You want me to do? What do You think about this?" USA – GFA recently launched a new program called Mission Support Team that enables people to partner with staff members, also called behind-the-scenes missionaries, to help fulfill Christ's call to make disciples. Each GFA behind-the-scenes missionary serving in our administration offices helps facilitate the work of more than 100 national workers on the field. The faithful prayer partners and financial supporters who link their lives with these behind-the-scenes missionaries are an essential part of the Mission Support Team. This partnership makes it possible for more people in Asia to come to know the God who loves the whole world and gave His Son so all may have eternal life. "We know the old saying, there is no 'I' in 'team,' and that is so true," said Daniel Yohannan, vice president of GFA. "Our GFA staff that serves so faithfully is part of a larger team that is bringing hope to children, widows, leprosy patients and those in despair. Those who join this team in prayer and support link their lives with all that God is doing to bring hope and healing to a hurting world." The Missions Support Team gives financial and prayer partners a personal connection to the ministry via newsletters and other forms of communication directly from their behind-the-scenes missionaries. They'll get to know the everyday life of those they're partnering with while also hearing stories from the field that have touched their hearts or stories of the people they've met on the field. Behind-the-scenes missionaries work in different capacities within the ministry, with each role playing an integral part in ensuring ministry on the field continues to grow. Very often, national workers on the field will explain how grateful they are because of the work being done behind the scenes on their behalf. "We tend to overlook the reality that anything that is of significance has many individuals behind the scenes who may never be acknowledged publicly," Daniel said. "But in reality, without these key people doing what they do, great things could not be accomplished. The staff of GFA serving in the way they do is what makes it possible for so many people to be helped and blessed." ASIA – Dr. K.P. 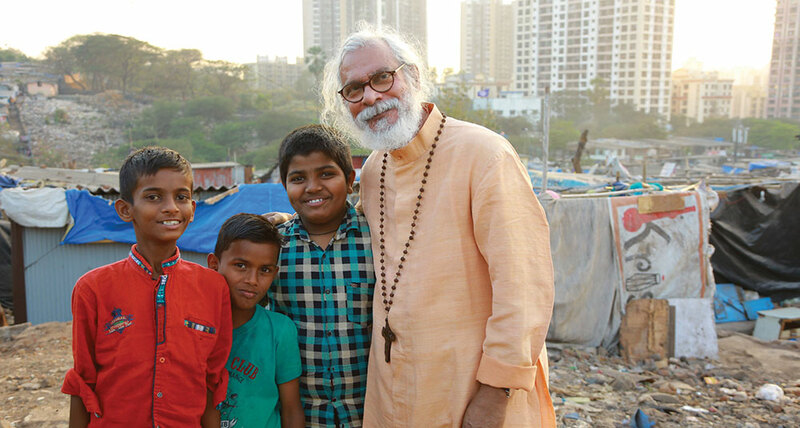 Yohannan made a visit to the slums in Mumbai, India, earlier this year to see the ongoing ministry in that area and encourage workers. He walked through narrow alleyways and passed women washing their clothes before he made it to the door of one of the local Bridge of Hope centers. The children had just begun their day at the center when Yohannan arrived. He sat in their classes, spoke with the staff, encouraged the students in their studies and talents, and served them lunch. 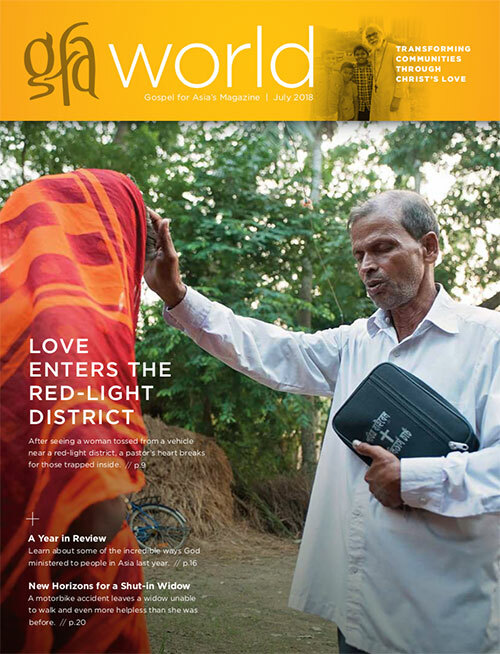 "It is amazing what God is doing in these centers," Yohannan said. This center is one of 32 in this area of the slums and helps provide an education for 128 children. At the Bridge of Hope center, Yohannan met a young girl who lost both parents to tuberculosis and is cared for by her widowed grandmother. He visited her home, a 10 feet by 12 feet shanty made of tin sheets, and listened to this woman share her story of having to go from house to house as a maid to make sure she and her granddaughter survived every day. "It's so hard to predict what will happen to [this little girl] as she grows up in the slums. … Before we know it," Yohannan said. "[She] will be a young teenager. This can be a life-changing time for girls in poverty-ravaged communities. It happens across many parts of the world where young girls—13 and 14 years old—are married off or sold into prostitution. Bridge of Hope is helping to rescue many girls from this plight…"
Cyclone Ockhi, said to be the "most intense storm originating from the Arabian Sea since 2015 and the first in nearly 40 years to travel nearly 1,500 miles," ravaged the coastal shore of Kerala, India, in Nov. 2017. More than 200 fisherman who had gone out to sea for their daily labor passed away, unable to reach safety before the storm hit. Six months later, coastal towns are still working to rebuild, leaving many fishermen without homes or livelihoods. GFA World-supported workers are distributing 100 boats to help families get back on their feet. Each boat can help 10 fishermen, which will end up benefiting 1,000 men and their families. Dr. K.P. Yohannan, founder of GFA, visited the ravaged areas to meet with and encourage the survivors of Cyclone Ockhi. "When I visited the site sometime back," Yohannan said. "I realized that merely by giving clothes or food we would not be able to address the problem. Livelihood and education are the two most critical pillars of any social order. Over the next two years, we will address these aspects and reach out to more such victims who need a helping hand." GFA-supported workers have begun a rehabilitation program for those impacted by Cyclone Ockhi. They will distribute 1,500 educational kits and scholarships to the victims' families and children. Saman laid between sweat-soaked sheets, listless. The nightmare seemed just as real in the wakefulness of the still night. Heart beating rapidly, Saman slid his hand into the pillow case and pulled out the paper tucked deep into the corner. He huddled on his bed to read the calming words within its pages. His heart slowed, and he breathed a long sigh as peace filled his heart. Two years ago, Saman had gone fishing and disappeared. His distraught parents asked their neighbors to help them find their 28-year-old son. A month passed before Saman showed up again. But something was different. He was different. Saman had returned troubled, disturbed, mentally challenged. Even after a few days of being home, his condition worsened. He'd run into the nearby jungle and forget to go back to his house. He also had terrible dreams at night that kept him awake. His family offered sacrifices for Saman's healing, but the cost was steep for this poor family. After three months, the family ran out of resources—and Saman remained the same. One day, while Saman sat alone in the jungle, a man approached him. He shared that he was a pastor, and the two talked. Before leaving, Saman received a small booklet called, "You Can Be Free." When Saman read it, peace suddenly soothed his despair. From then on, when he would have night terrors, Saman would reach for the booklet and read. It calmed him. These words had power, the power of peace and of a good night's sleep. His family saw the change and asked Saman about it, but he kept the booklet a secret, tucking it away in the corner of his pillow case. One night, however, Saman's mother caught him reading in his room. Curious, she asked him about the booklet, but Saman kept quiet. Days later, she found the literature—and the man who had given it to him: Pastor Deepit, a GFA-supported pastor. Saman's mother pleaded with Pastor Deepit to visit her son. "My son never stayed at home earlier," she said, "but after reading the tract, 'You Can Be Free,' he never goes out. He always reads the tract. Please come and meet him. … I believe your God can make him well." Pastor Deepit visited Saman and encouraged him with the peace of Christ. Saman felt free to open up to the pastor about his problems. Now, he is gradually recovering from his mental strain and is trusting in Jesus to bring him eternal peace. Think About It: One Gospel tract costs less than a penny to print, yet it produces an abundant amount of fruit for God's kingdom. GFA-supported workers make sure they always have literature about God's love and sacrifice to offer people. Some even write their own tracts! Through these little booklets, the Lord is opening people's heart to eternal life with Him. 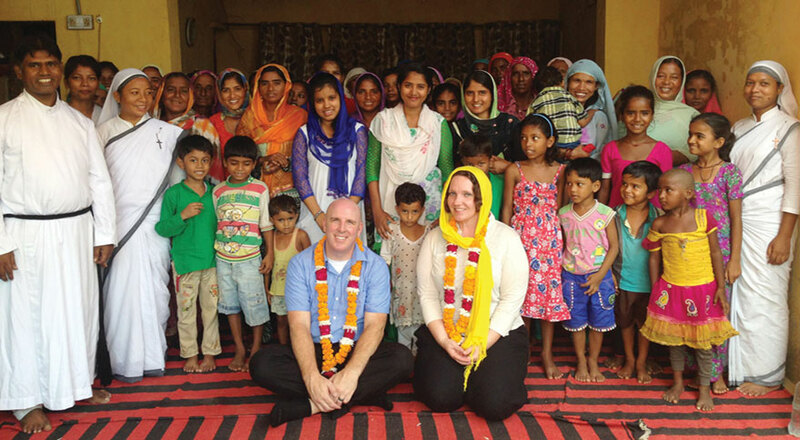 Tony and Kelly, GFA staff, share about their experience visiting the ministry on the field. One of our favorite family activities is putting together puzzles. To have all these individual pieces work together to make something beautiful is enjoyable. Our visit to the mission field reminded us of a puzzle as we got to see the different aspects of Gospel for Asia working and fitting together for the glory of Christ. Our experience on the mission field linked many of the puzzle pieces together. To see the children playing and smiling in a Bridge of Hope center, people getting clean water from a Jesus Well, and our Sisters of Compassion cleaning wounds in a leprosy colony made our faith a reality. Each aspect of Gospel for Asia—including the work we do in the office and the people who pray for and support the ministry—and its field partners links together in compassion, and we had the opportunity to experience it for ourselves. In one particular area of Asia, we spent time at a Bible college for women. We heard their amazing testimonies of being persecuted for the faith. Hearing a sister share her story of persecution at the hands of her own father was filled with both heartbreak and hope. She had been beaten multiple times by her father for attending a church service. Her father kicked her out of the home but not before beating her so badly that she had to be hospitalized…which is where she met some Sisters of Compassion. We then walked a short distance to a tailoring project, which is helping women learn to sew and make clothing. This simple tailoring class is transforming the lives of these beautiful women. This project is giving them the ability to help provide for their families, and that brings a joy that you can physically see. After six months of training, the women will be provided with a sewing machine. Later that day, in this same building, many of the women's children will attend the Bridge of Hope program—another piece of the puzzle working together in this corner of a populated city. This piece is truly transforming this entire area and helping improve lives in many ways. And even though it has been awhile since we visited, we are thankful that ministry is continuing to flourish. Our visit will always hold a special place in our hearts. And as we sit down as a family to work on another puzzle, we'll be reminded of God's work on the mission field and the amazing men, women and children we met—and how the different ministry efforts, projects and acts of service work together to help those who don't know Him…yet. As each piece connects to another to create a picture on a puzzle, we will know how the Body of Christ connects for His purposes. Ganmei walked toward the thatch-walled building. His feet knew the path well; he walked it every morning. It was almost as if that place beckoned him to come. It was within those thatched walls—that place they called their church—that Ganmei talked to God and poured out all he had stored within his heart. Yet what he prayed for most fervently was a better building to pray in during the mornings, a better place for him and fellow believers to worship in without distraction and in peace. Only a few months before, this building—and any others like it—held no appeal to Ganmei, though he knew of its importance. Ganmei had grown up in a nominal Christian home—much like the others in his village. But it wasn't until he met GFA World-supported pastor Thoingam that Ganmei truly came to understand the love and sacrifice of the One his family had claimed some time ago. Since the day of his rebirth in Christ, Ganmei spent devoted time in prayer and growing in the Lord. He especially loved to pray every morning in their church, saying it made him feel very near to the Lord when he talked to God inside their place of worship. But the thatched-wall building was not ideal. Inclement weather caused inconveniences, and having worship services in a structure that could easily collapse kept some believers from attending. Ganmei wanted the people of his village, his friends, to know and experience the depth of love he had found in Jesus, and he knew having a proper place of worship would help. So he prayed. Every morning, as he knelt inside their thatch hut, he asked his Lord to bless them with a real, permanent church building. Then good news came! Pastor Thoingam let Ganmei know his prayers had been answered—they would begin construction on their own church building soon. Ganmei's heart leapt with joy. When the building was finally finished, Ganmei rejoiced with the pastor, amazed at how God had answered his heart's desire. 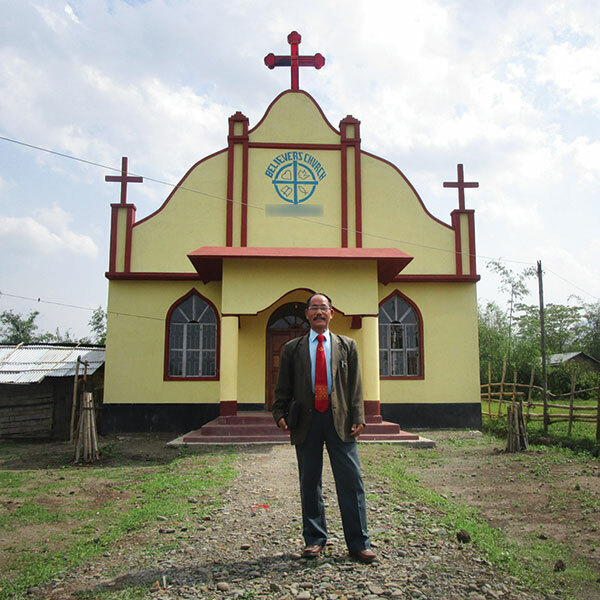 "The church building plays a role in building up my spiritual life," Ganmei said, "as it is an indication that the Lord answers the prayers of His children." Ganmei continues his morning prayers inside their new, beautiful place of worship, and he's especially encouraged when his fellow villagers come and worship beside him. Learn more about church buildings. Our 21st century lifestyle is extremely fast paced and filled with 24-hour busyness. We cram so many activities into our day that we have very little time left to seek God. However, when we read the New Testament we come face to face with a genuine spirituality we desire to have but can't seem to reach. What is this authentic Christian spirituality? We may think it to be the good spiritual activities we do, such as Bible study, prayer, church attendance, evangelism, serving the poor and loving others. Indeed, the Scripture teaches us that these things ought to be part of our normal Christian life; however, they are not the same as spirituality. They are mere activities unless they flow out of a heart that truly knows God. Knowing Christ and becoming increasingly like Him is authentic Christian spirituality. This is what God desires for us. Then we don't just copy Christ's behavior, but we become partakers of His very life, like Paul described in Galatians 2:20, "I have been crucified with Christ; it is no longer I who live, but Christ lives in me." Then we also will fulfill what 1 John 4:17 says about us: "… because as He is, so are we in this world." We will walk in Jesus' footsteps, be willing to suffer for His name and represent Him accurately. Knowing Christ in such a deep way will make all the difference in the fruitfulness of our work for the Lord. Scripture says, "The people who know their God shall be strong, and carry out great exploits" (Daniel 11:32). From these Bible passages we understand that knowing Christ is the answer for all that we are looking for. The question is how serious are we in our quest of knowing Jesus, and how much are we willing to lay down of our own self life, so we can take on His likeness? The apostle Paul wrote about his pursuit of knowing Jesus in this way: "But what things were gain to me, these I have counted loss for Christ. Yet indeed I also count all things loss for the excellence of the knowledge of Christ Jesus my Lord … that I may know Him and the power of His resurrection, and the fellowship of His sufferings, being conformed to His death" (Philippians 3:7–8, 10). Paul's deepest desire to know Jesus and enter into Christ's life and suffering caused him to regard everything he formerly treasured and accomplished as useless. He left all of it behind and made knowing Jesus His only goal. This decision took him down the same lonely road Jesus walked when He was on this earth. There is no comparison for the loneliness Jesus experienced. He left heaven and His glorious life within the Trinity when He took on our human form. As the sinless Son of God, He lived among sinful men in a corrupt world. The religious leaders rejected Him. Even His closest disciples didn't understand Him. Yet in the midst of all this loneliness, He knew His Father and the comfort and joy of living continually before Him. In His ministry, Jesus was busy preaching, teaching, healing the sick, casting out demons and restoring broken lives. Yet He treasured the gift of being alone with God, His Father, above all else. We read that He often went to a lonely place to spend time in God's presence. This is where He, being fully human, renewed His strength and came to know His Father so closely that He was able to always do His will. Many of the saints of old—like Moses and Elijah, and later on Christ, Paul and many of the early Church fathers—spent considerable time alone in the desert. They recognized the gift of being alone with God in order to get to know Him and be transformed in His presence. For many of us, the thought of being alone in a quiet place even for a day is frightening. We dread to face ourselves, and we don't know how to quiet our thoughts and focus our hearts on the Lord. We prefer to go to books, Christian media, churches, conferences and counselors to learn about spirituality. Yet after acquiring all this additional knowledge, we discover that we are still at the same place we started. Why did we not make any progress? Because all the helpful information and Bible knowledge we acquired cannot substitute spending time alone with God in order to know Him. Authentic spirituality does not happen by itself. We need to rediscover the gift of being alone with God. We may not have a desert to retreat to. But we all can make space in our busy lives by emptying at least a few hours a week of activities in order to seek the Lord. It's all worth it, for He promised: "And you will seek Me and find Me, when you search for Me with all your heart" (Jeremiah 29:13).